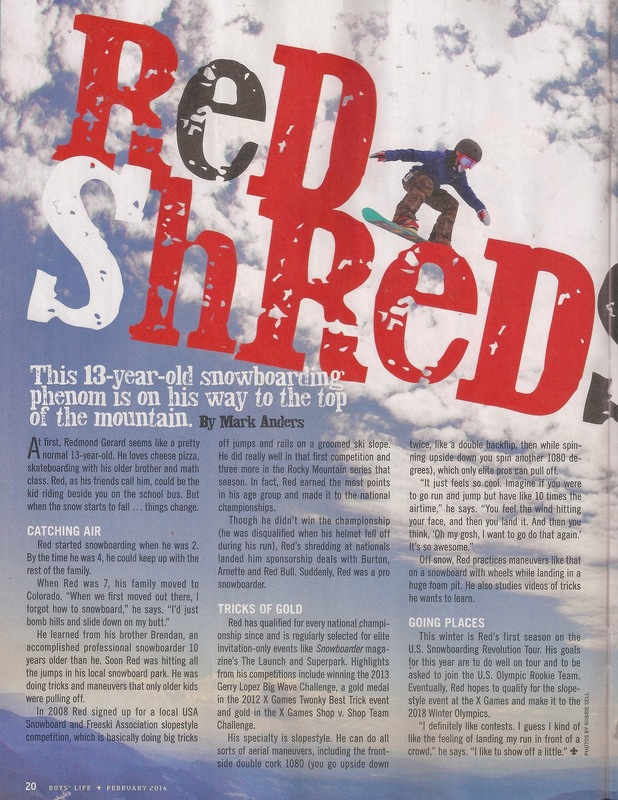 Red was once again extremely fortunate to have been asked to Snowboarder Mags, 18 and over, photo shoot – Superpark 18. Unfortunately he battled the flu, but he made the best of it and still managed to get a few shots and commentate for a bit on the webcast. 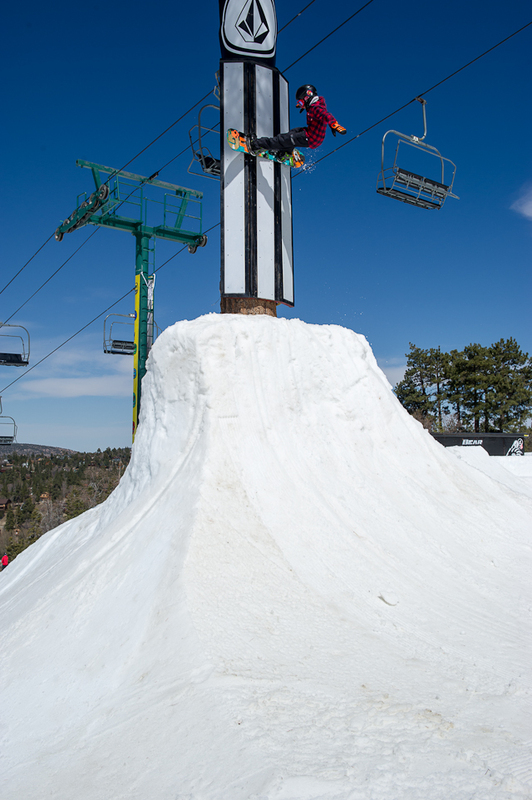 As the day got closer to webcast time everyone started to gather around the Woodward step up. 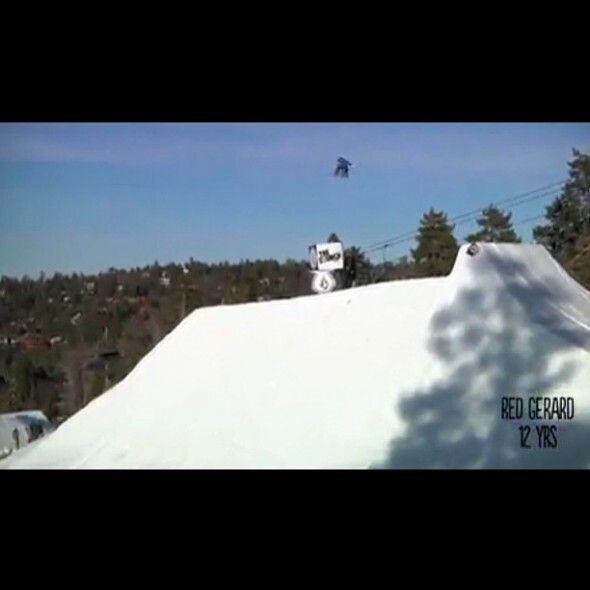 A slew of riders started to destroy the jump. Ben Ferguson was showing that he is definitely one of the legends of our time. Nils and Hans Mindnich were happy to get off the rocks today and sent tricks over the step up with effortless style. 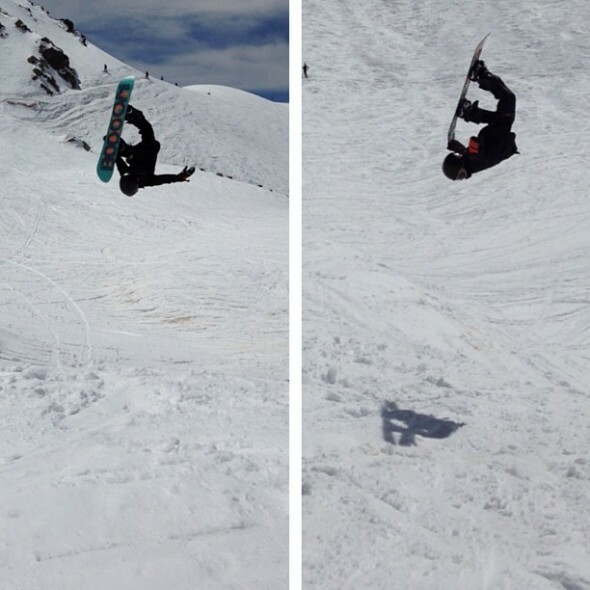 Jaeger Bailey was throwing double tail grab 900s. 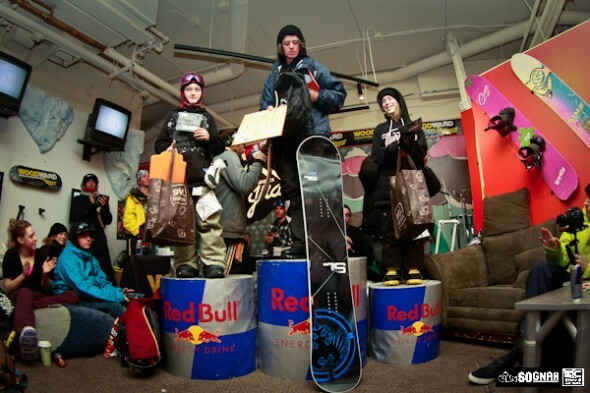 Jeremy Page, Red Gerard, Mitch Richmond, Christian Connors, and Matt Wainhouse all killed it. 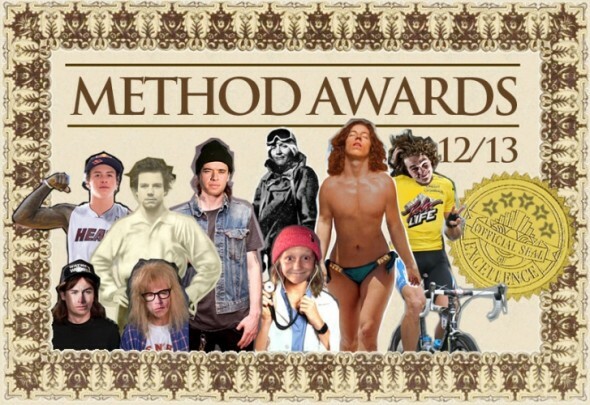 The webcast was a lot of fun and everyone rode great. 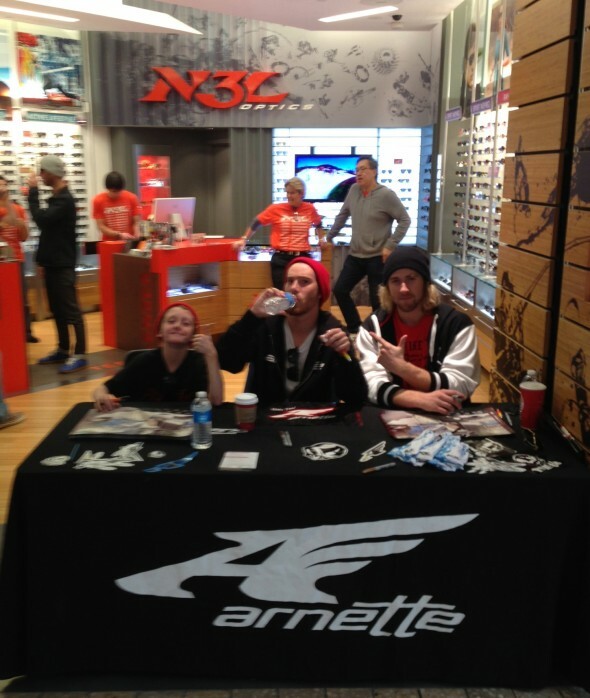 Webcast Day 2 – Red and his brother Bren drop in together about 1:20:50, they take a commercial break and Red comes on to commentate at 1:24:00. 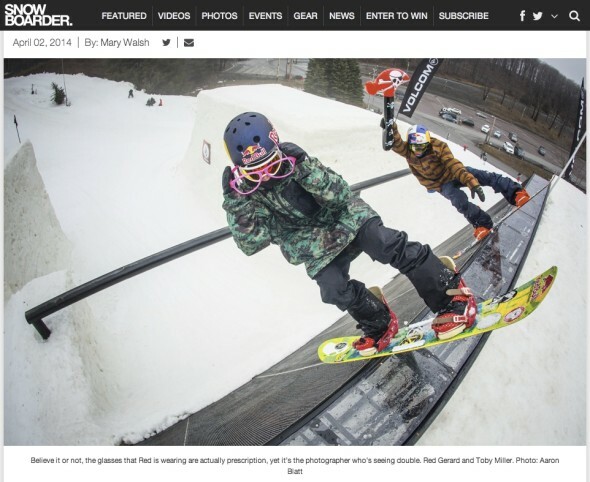 Day one of Snowboarder Mag’s, the Launch, took off yesterday. Unfortunately the weather, as has been the case at so many other events this season, did not cooperate. 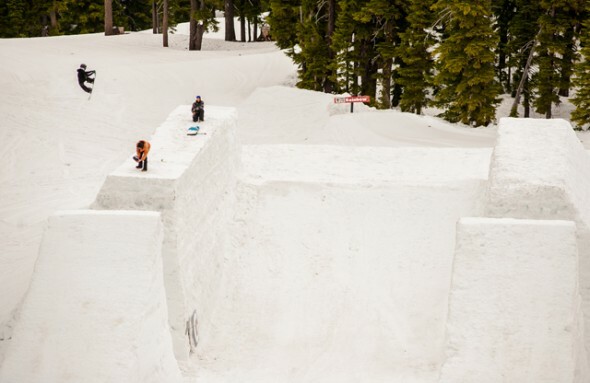 Riders tried to make the best of it by sessioning Seven Springs’s amazing “The Streets” park. Red ended up having a blast. 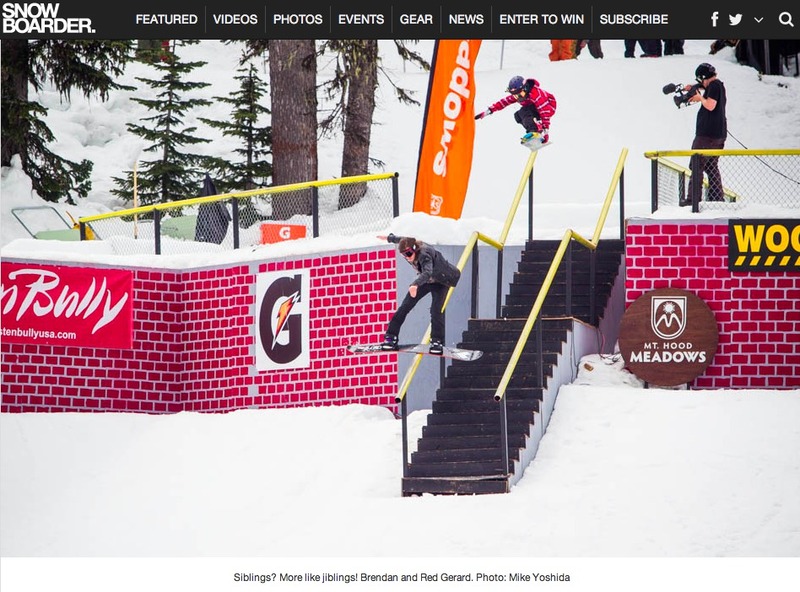 Check out Snowboarder Mag‘s site for some shots of Red playing in “The Streets”. Much more went down and it’ll all be in the videos and photos accompanying these words. 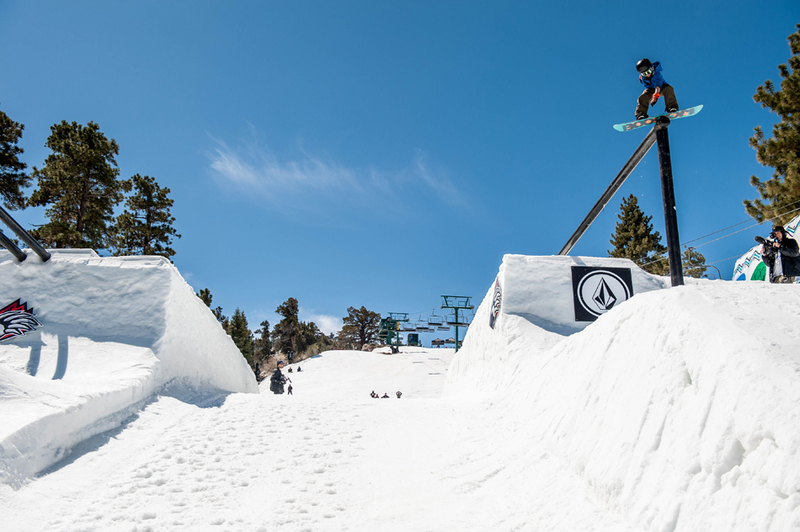 For now, be sure to keep up-to-date with all the happenings in Seven Springs because the weather is supposed to break and the next two days are calling for warm, sunny temperatures which only means that the riding is going to heat up. 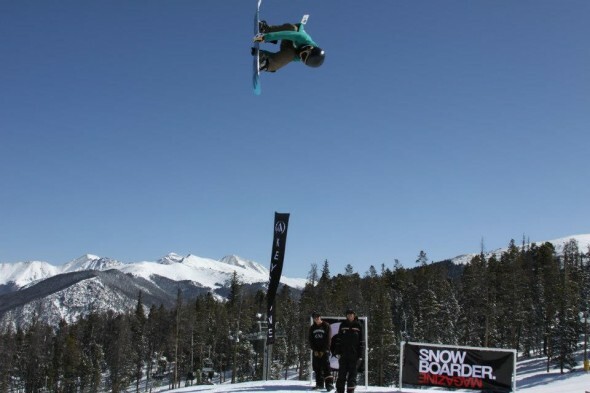 Watch The Launch webcast LIVE, on Snowboardermag.com on Monday, Tuesday and Wednesday from 1-3pm EST. For the 2 or 3 loyal followers of seeredshred, We have moved! All your favorite info on Red can now be found at redgerard.net. Make note of the .net because an anonymous lover or hater (Red is hoping it is the former, that it is a she… and that she is hot! 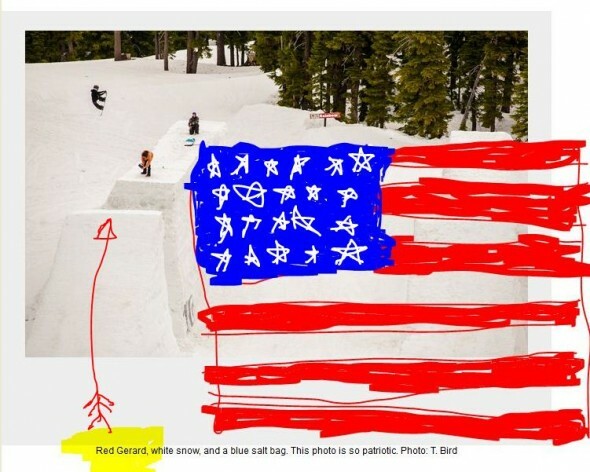 ), has taken up the domain name redgerard.com and has a single post of Red’s face – sweet! 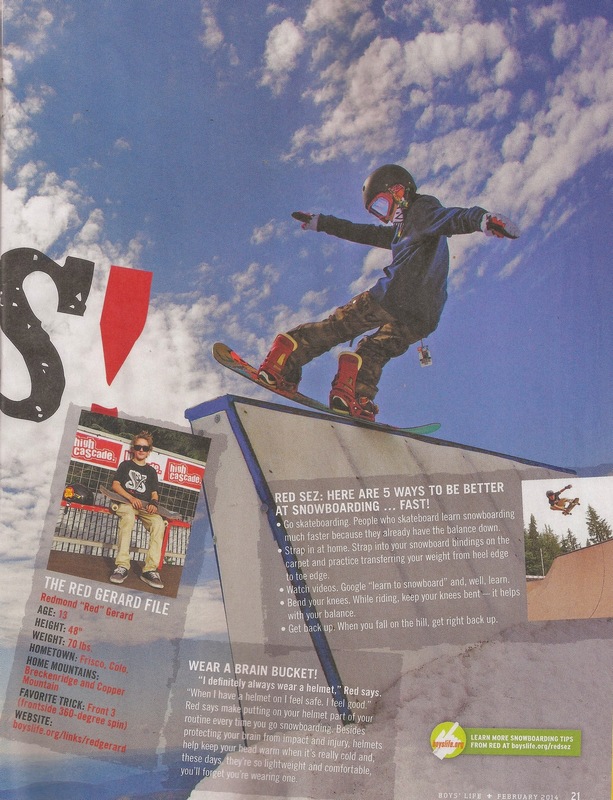 Boys’ Life Magazine, the official publication of The Boy Scouts of America, took a look at snowboarding in their February issue (page 3) by interviewing Red. Pick up a copy, or check out the lighter version in this link. Make sure you get your copy of this months Transworld. 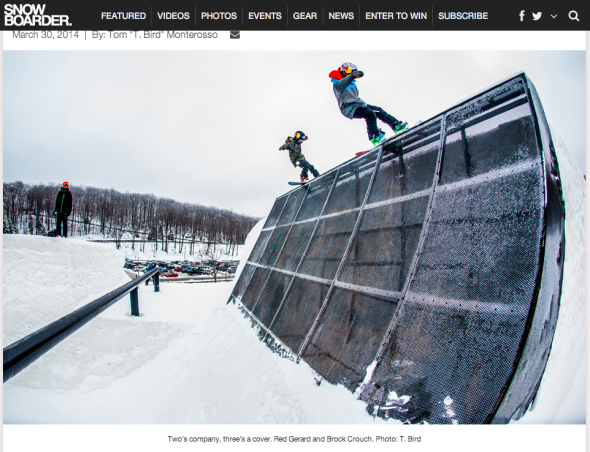 Great article starting on page 77 on Red and some of the Burton gang at a super cool photo shoot in Seven Springs last spring. (Red is in the crease on pages 77/78 as well as on pages 78 and 81). 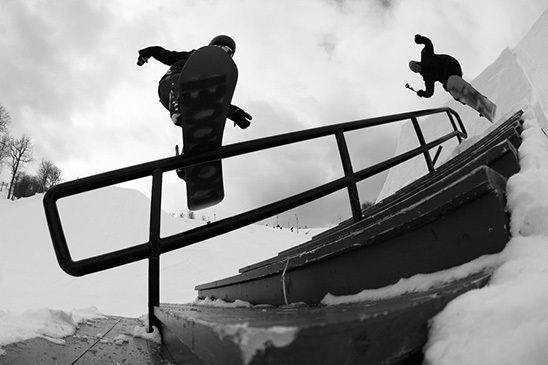 Check out what Red and some Burton buds were up to at Seven Springs last spring. It’s all good, but Red and the gang don’t weigh in until 08:30. Favorite part – 11:24 during the credits when Red asks if he can drive the snowmobile, answer – I don’t know dude, I think you gotta be at least three feet tall to drive. Red’s response – Dude, I’m four feet! 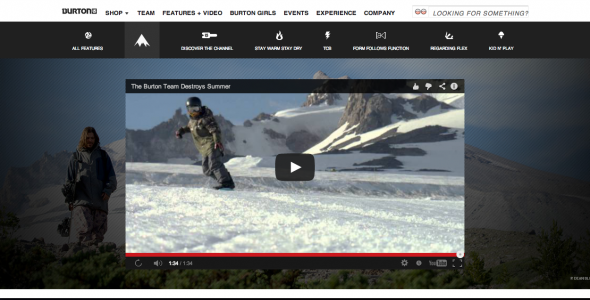 Snowboarder Mag’s, Mary Walsh gave this video her “staff pick” as a favorite. 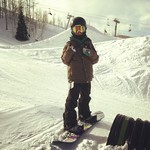 There is some great snowboarding here mixed in with plenty of fun. There are small clips of Red skateboarding and messing around, but at 7:57 there are some nice shots. Check it out and see what you think. 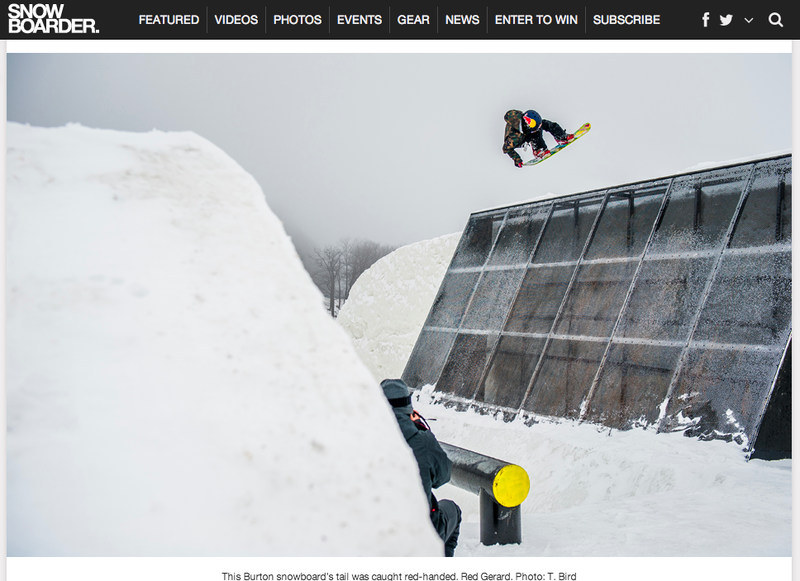 Check out the Burton homepage for shots like these of Red, and the other amazing riders that were lucky enough to get to work with insanely talented photographer, Blotto in Seven Springs last spring. What are these kids drinking? Energy milk? Holy cow, they are good. 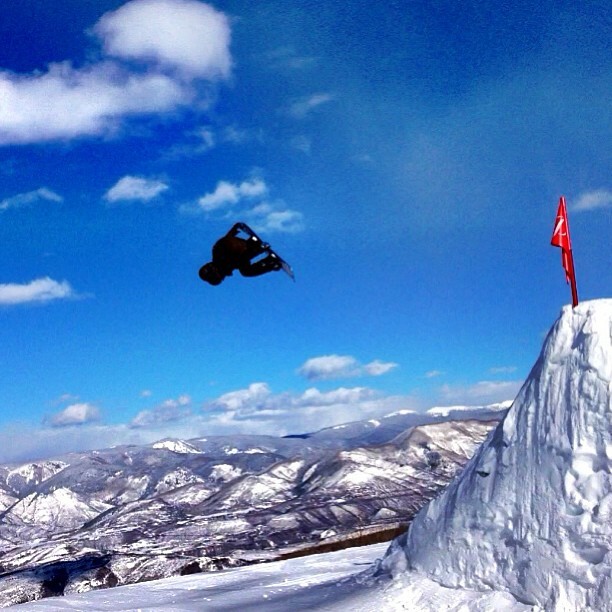 Check out Brock Crouch, Red Gerard, Gabe Ferguson, and Nik Baden tear apart Mt. Hood’s summer glacier. Doogie Howser Award – Red Gerard for receiving his doctoral diploma in snowboarding at the tender age of 12. 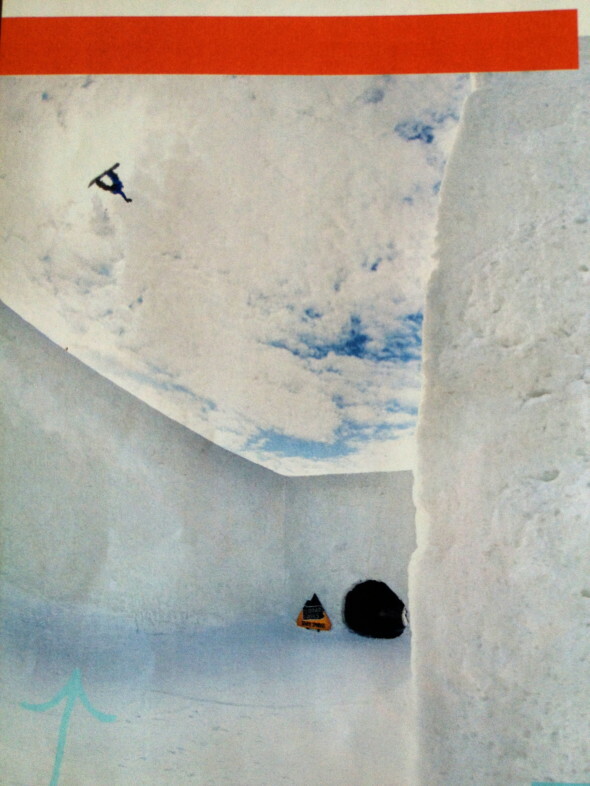 The health of snowboarding in the future is going to be OK in the hands of prepubescents like this. With a Luau, traditional Hawaiian cuisine and a series of unique course features with names like “Puerto Escondido,” “Ala Moana Bowl,” and “Steamer Lane,” the 2013 Big Wave Challenge at Mt. 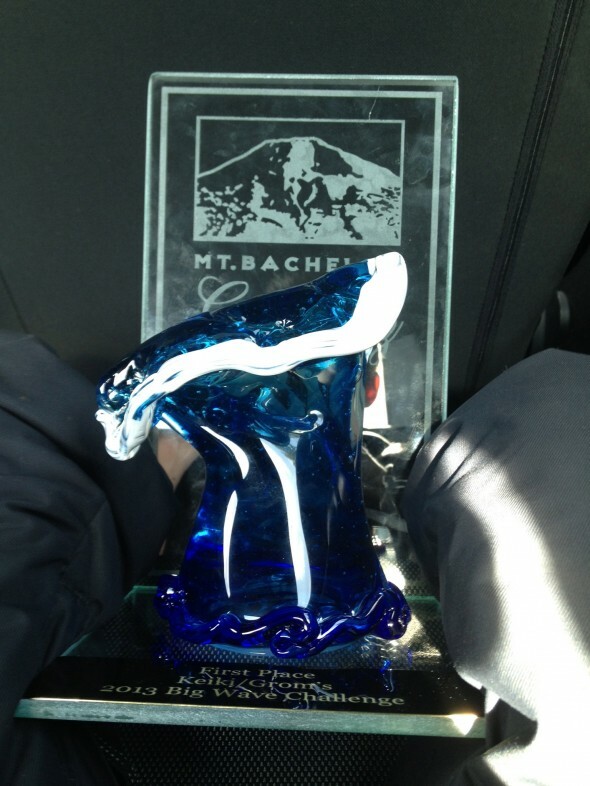 Bachelor proved to be an impressive surf-style competition. 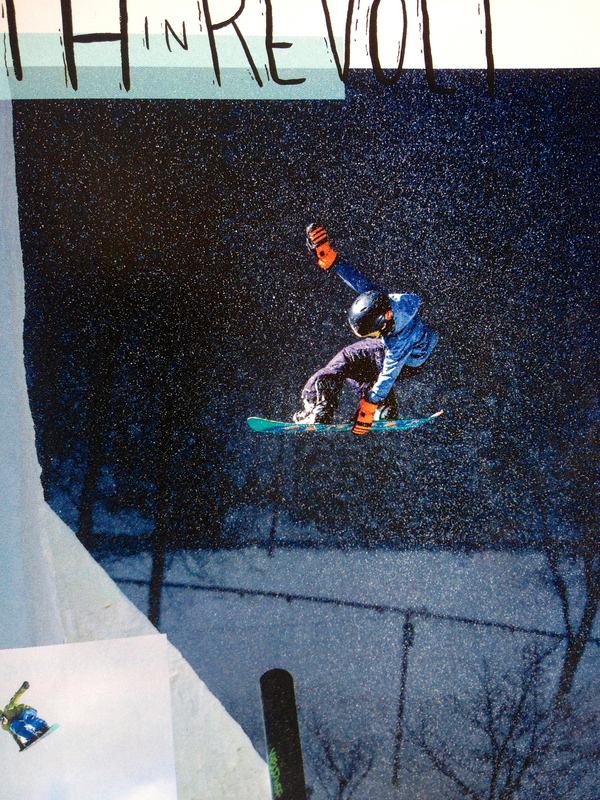 Every rider was judged on his or her choice of the features used, the difficulty of each individual trick performed on those features and his or her overall flow through the course. 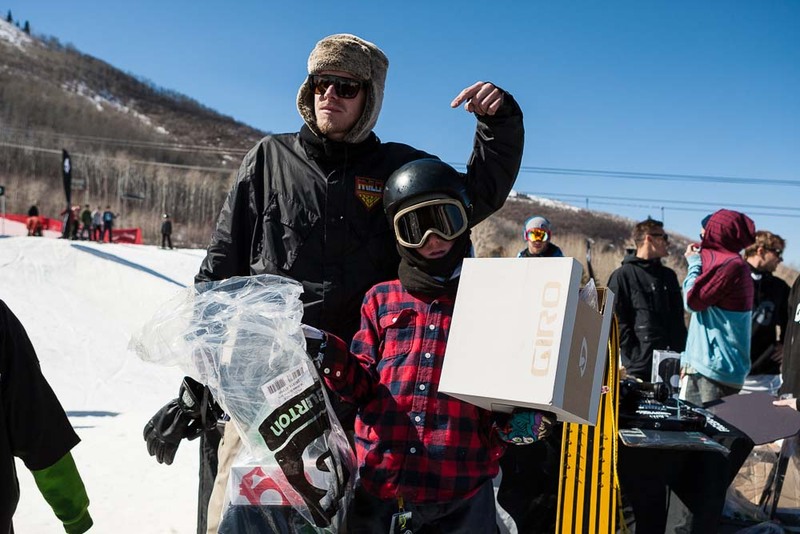 First place for the men went to Gus Warbington, with Coleen Quigley sealing women’s first place; Red Gerard won the groms and Gorden Boehm brought home the master’s top spot. Like the dinosaurs, Red will grow from all the air he gets. It’s just science. 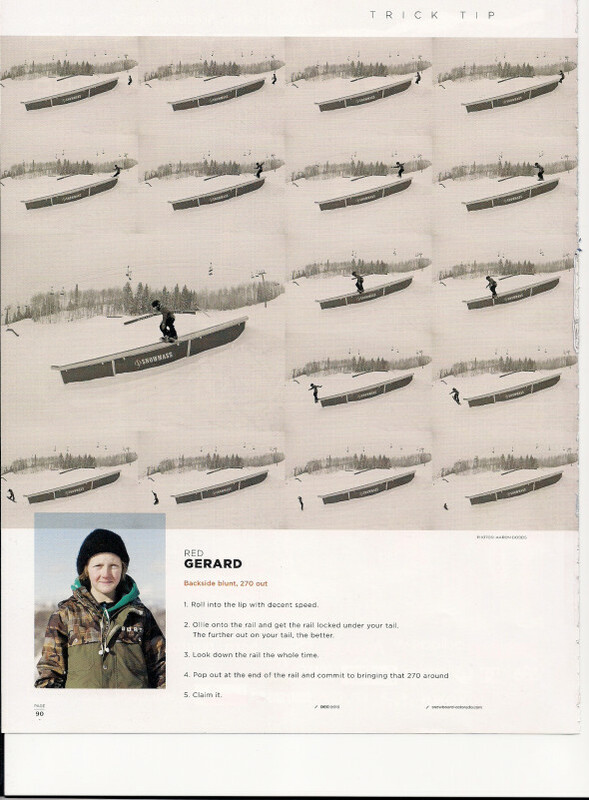 Red Gerard can run to be president of the United States in 23 years. 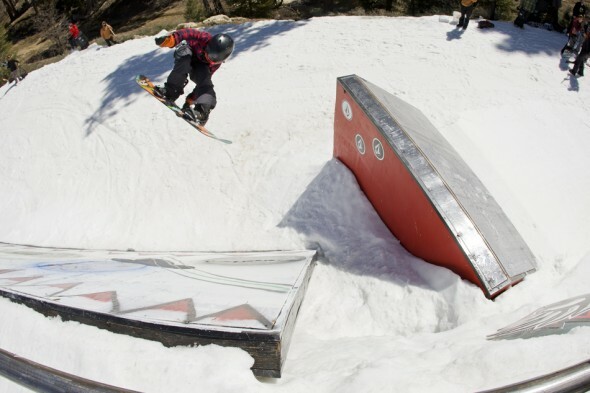 Red’s first Superpark has come to an end. 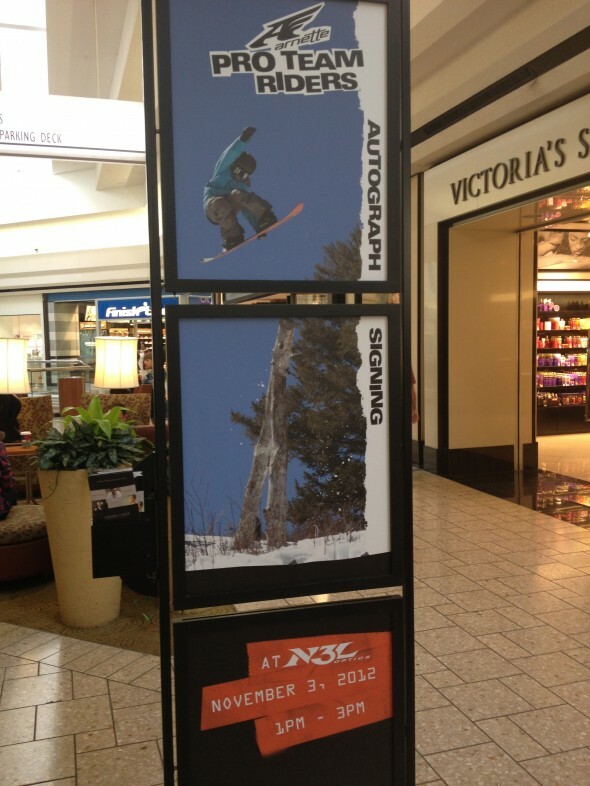 As with all Snowboarder Mag events, he had a blast. Thanks to everyone who helped get him where he needed to be. I know you’ll probably never read this, but special thanks to Frankie, Red’s Burton TM, and of course Pat and T-Bird for giving Red a shot at getting to do what he loves! Here is a last shot from Day 5. If they ever put some photos up, I will share with you Red’s win at the Gerry Lopez Big Wave Challenge, which took place at Bachelor the day after Superpark ended. Red took first in the Keiki division (16 and under). He LOVES the trophy! 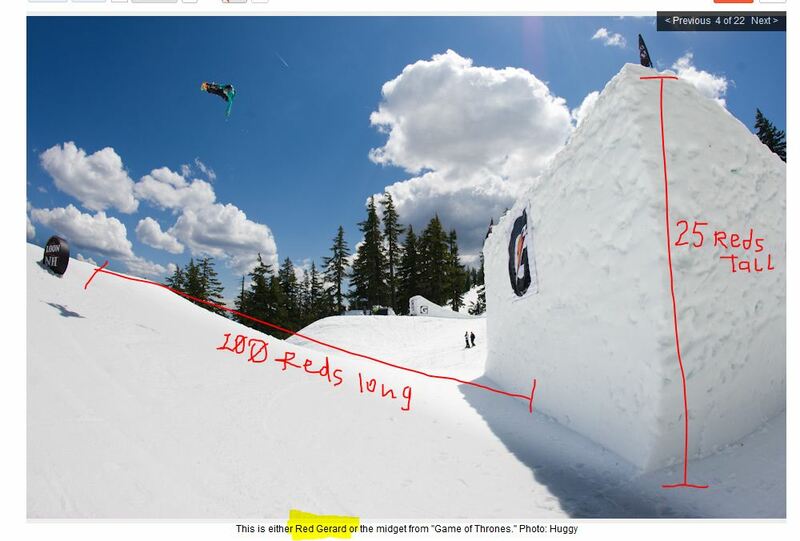 Here is the Day 5 video, Spencer Schubert and Red switch boards in the opening, there’s another shot of Red at 2:08, but check out what Scotty Vine does for the ender, pretty incredible! Red decided not to participate in the final webcast yesterday. SNOWBOARDER Magazine’s Battle of the Brands gives out a trip to Cabo for the best team edit from Superpark, and Red was eager to be a part of Burton’s attempt to best them all. Unfortunately the filming session was cut short by the threat of lightening – on to the skatepark! Red is looking forward to a last day on the hill just cruising with friends today. Saturday Red will take part in the Gerry Lopez Big wave Challenge at Mt. Bachelor. 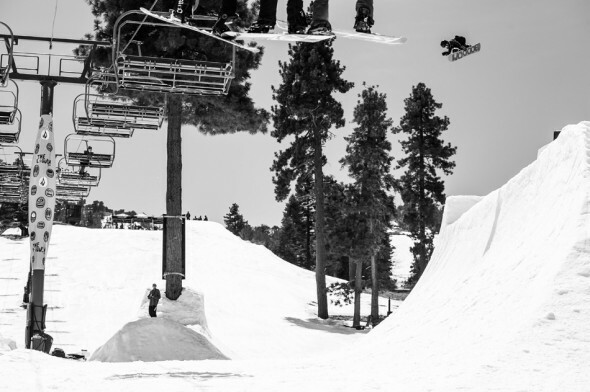 Red Gerard and Wes Muresan tear up the parks in this week’s Woodward Wednesday! 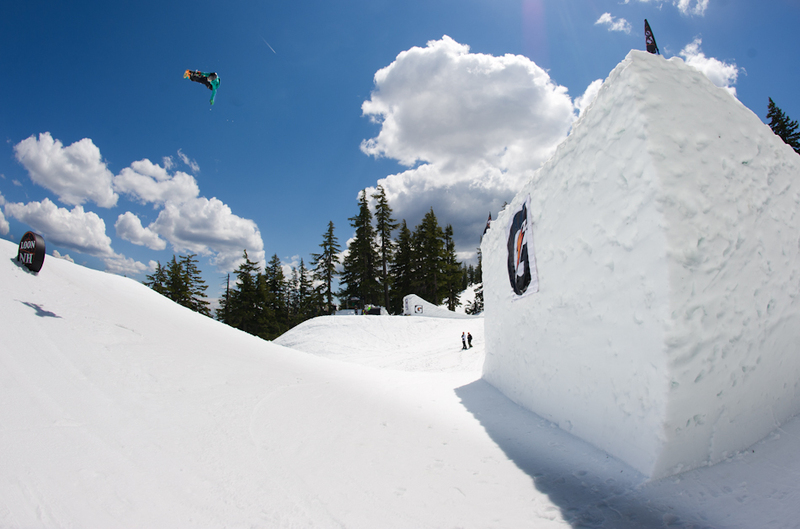 All you Groms (ages 8-12), make sure you sign up for Session #7 this summer. Summer Camp is going to be a blast this year! So it’s Spring and that means park footage. In this case it means park footage from Hobo Headwear, whatever that is. Feel free to skip most of the video because it was edited on an iPhone and you’ll never know when Red Gerard is even riding. Check out :40, :43 and 2:25 for highlights. The rest is just stuff good kids do in the park these days. Riders: Red Gerard, Kyle Hay, Josh Bishop, Jack Kyle, Randy Stacy, Stevie Meskill, and Hunter Wood. Cameo by homie Christian. Red Gerard was a clear winner for the Pint Sized Ripper Award, but his riding was larger than life. With huge airs over the Anon Optics pyramid, Red couldn’t be stopped. He was even still strapped in for awards and dropped in to pick up his prize. Red Gerard takes some laps in Northstar’s park. Watch out, kid is on fire! Red went out with Blake Axelson and the guys at Snowboard Colorado to hit the park at Snowmass. And guess what… Red finally did his double – twice! 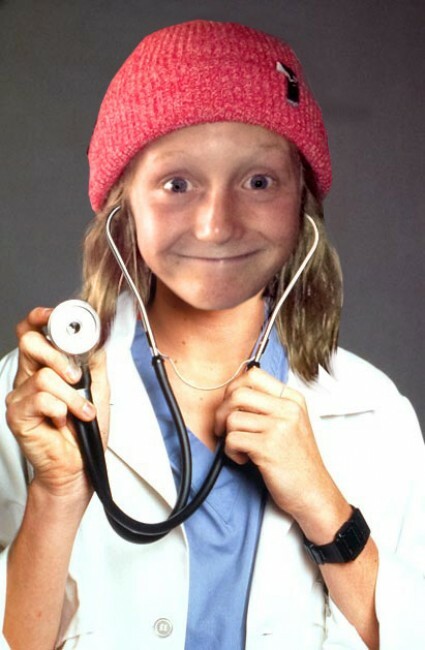 We ran into little Red Gerard taking warm-up laps at the BEO at Laax. He popped off these five tricks first run like it was nothing. Look out for him in the Junior Open this weekend. 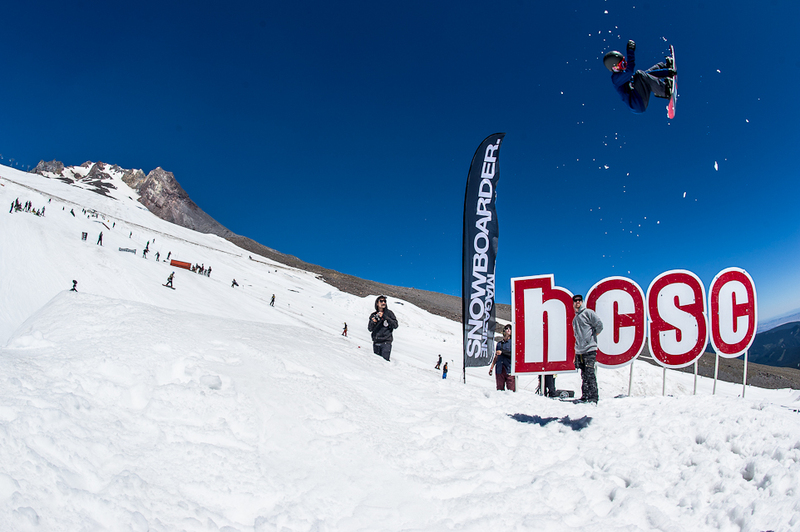 We will be releasing a full report with photos and videos of all this week’s action from the Burton European Open next week on methodmag.com! 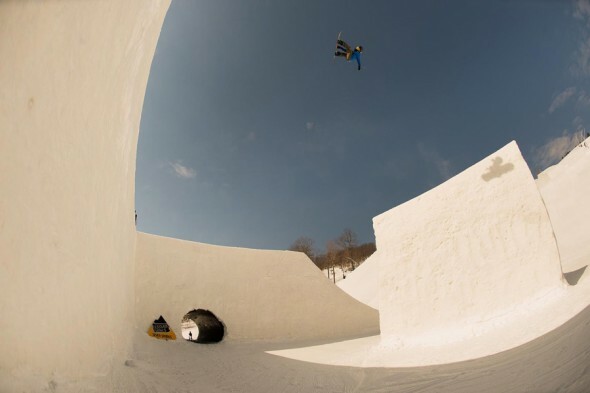 Take a couple laps with Red Gerard in the Woodward Central Park. Blake Axelson and Red Gerard take a few casual cruisers through the Snowmass park. Of course, “casual cruisers” are anything but for these young rippers. Red Gerard will also fight you if you don’t like this song. 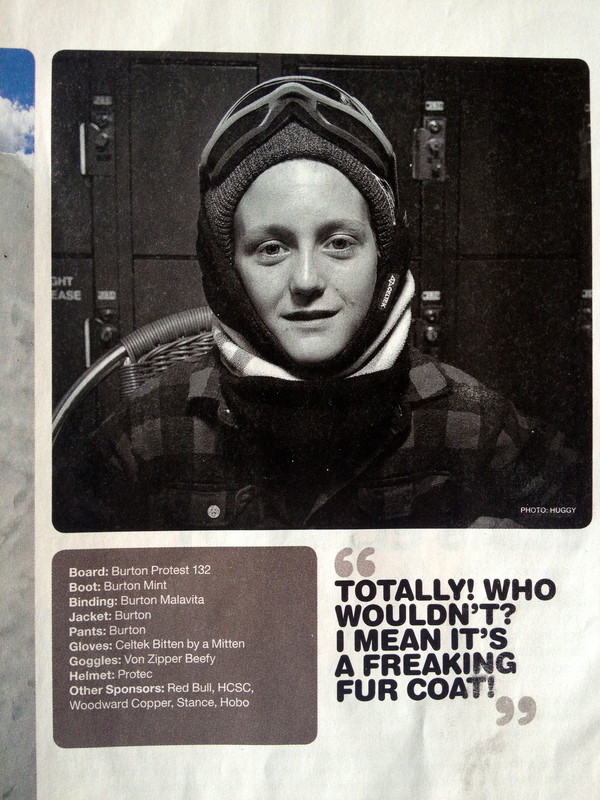 But he’s 12 and clocks in at about 80lb soaking wet in snowboard gear so….